Day three of Targa Tasmania saw the team drive from Launceston up to the North Coast passed Devonport, then down the West coast to finish at Strahan, going through the Rinadena stage where Adam and Erin unfortunately finished their Targa Tasmania 2013. This year the day went well for both cars with Andrew and Lee increasing their lead in the Showroom catergory – their times would place them 4th in 4 wheel drive showroom and 7th in early modern, which is fantastic result thus far comparing the differences between the cars competing in these categories. Adam and Erin also had a good run through day three making up time on the 2nd placed Mini in the showroom category. Both cars got through the day with little difficulty, Adam and Erin had a close encounter on a corner with the inside dirt bank, with Andrew and Lee also being chased by other competitors due to water pouring out of their car, thankfully it was only the windscreen washer bottle that had leaked (see photos). 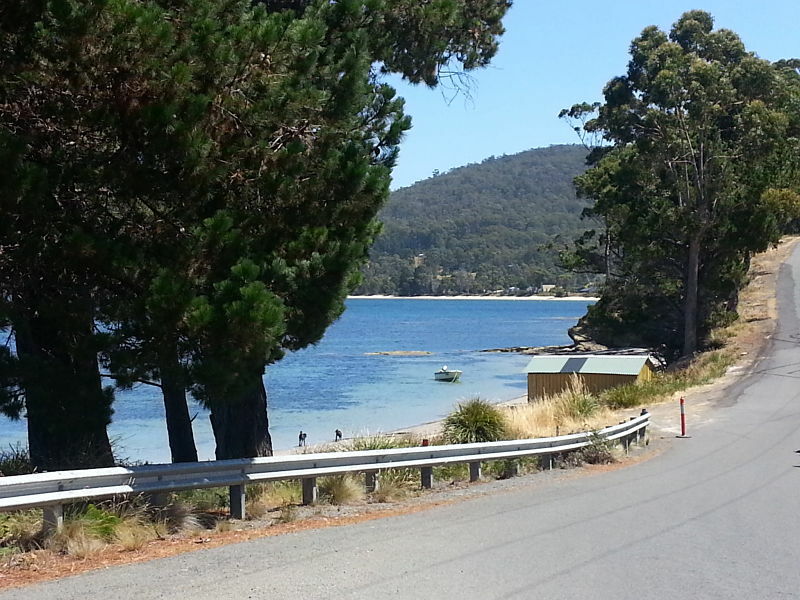 The team will use Strahan as their base for two days with the teams again heading north up to Burnie tomorrow with some long and difficult stages which will again test their skills. 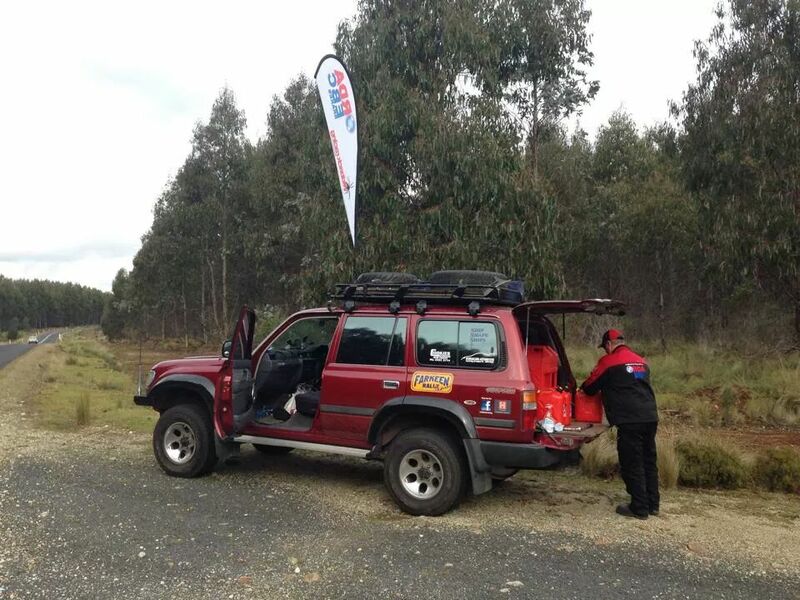 Today the roads of Targa Tasmania were all dry and unlike the drama’s of yesterday the service crew had a relatively quite day. The morning stages were a little slippery with the temperatures on the first few stages not going over 5 degrees celsius. The final stages finished with the world famous Sidling stage which is one of the best tarmac rally stages in the world. 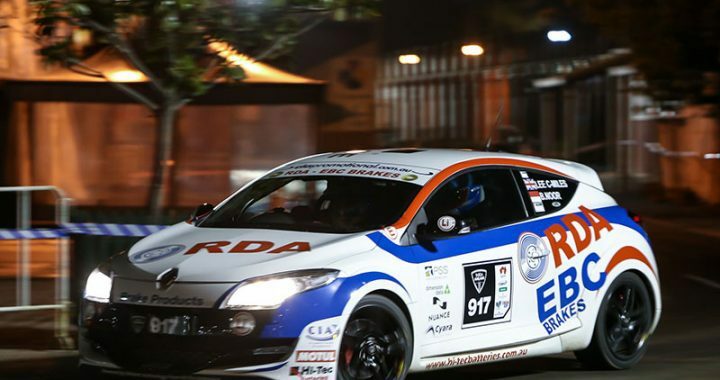 The team of Andrew and Lee now have a commanding lead in the category and Adam and Erin are trying to both nurse their car home after the damage yesterday as well as try their best at trying to bridge the gap to second position. 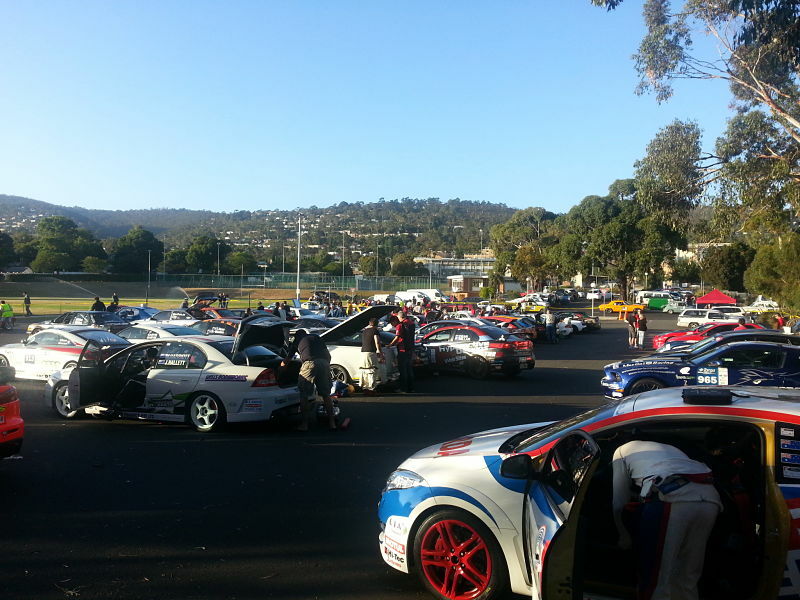 Tomorrow the circus which is Targa Tasmania will move from its base in Launceston to Strahan on the state’s West Coast where the crews will most likely have to compete in the first wet stages of the event. 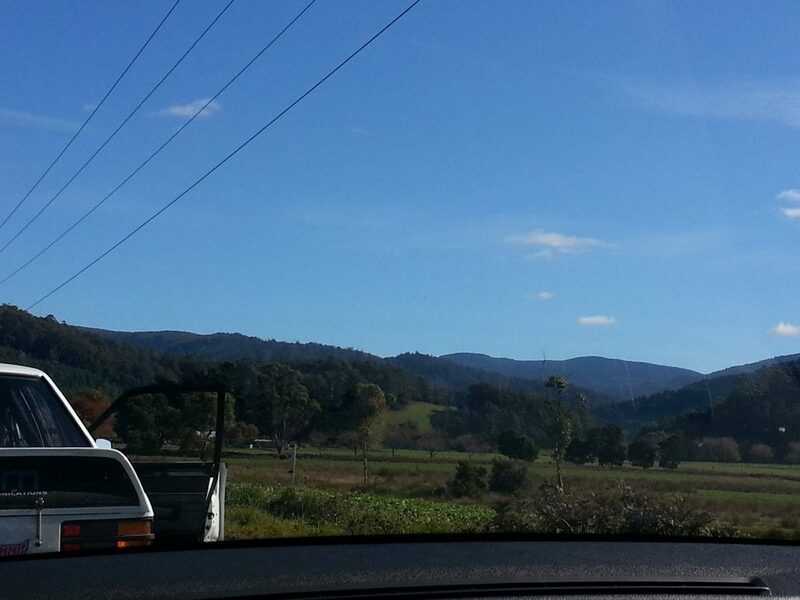 The team from Redbackracing headed West today to the Central Western tablelands of Tasmania. 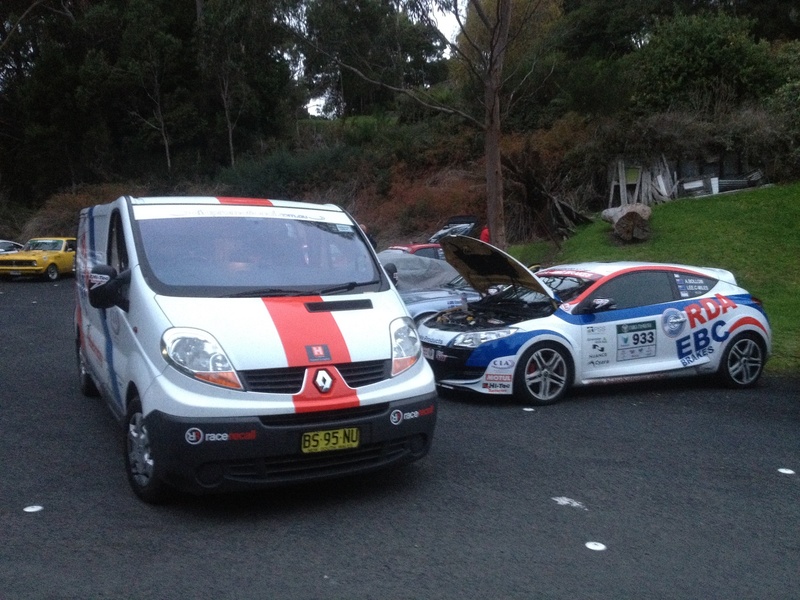 Both cars were performing very well through the initial two stages. Moving into the longer more technical stages both Renaults were heading up the category with only seconds separating the times of the two cars. At the sixth stage of the day – Merseylea, the two teams had interesting moments. With car 933 of Andrew and Lee entering the stage first they were aware of their sister car following the into the stage, they pushed the car through the stage and were twice on the wrong side of the edge. Once getting airborne at high speed (see the below video) and later into the stage coming off the tarmac into the gravel and grass. 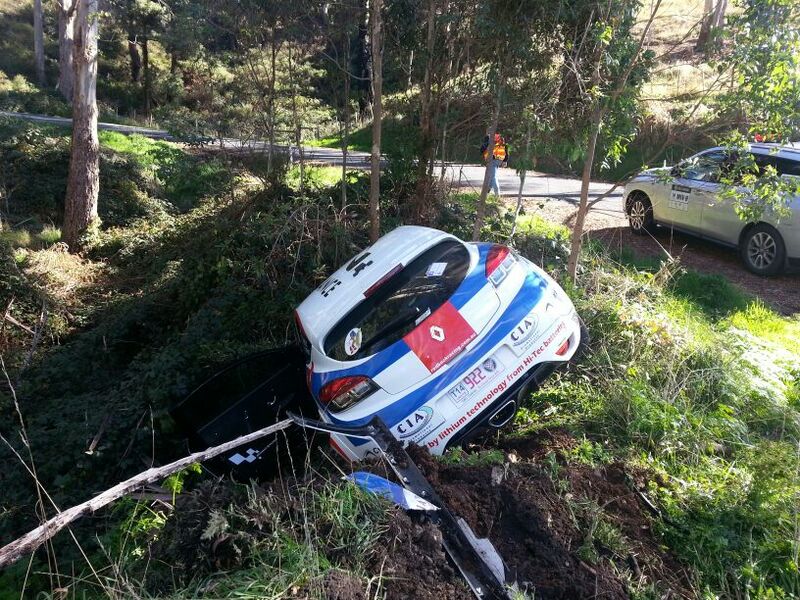 Having been through this the car still completed the stage. However car 922 of Adam and Erin entered the stage chasing after car 933, they too were pushing hard and on the same corner where Andrew and Lee left the tarmac, Adam and Erin did the exact same feat on the same corner however going a little further off course subsequently getting stuck. 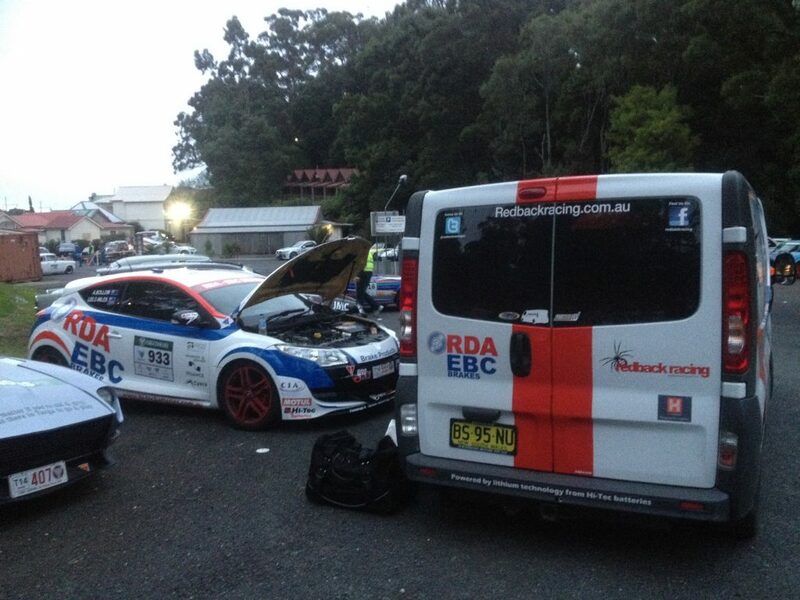 As always the redbackracing service crew were on hand to get the car out and make minor repairs to get Adam and Erin back into the race for the last two stages of the day. With Andrew and Lee in first place for Targa showroom and Adam and Erin still in a good position that they can build on over the next four days its going to continue to be an amazing event and live up its name as The Ultimate Tarmac Rally. 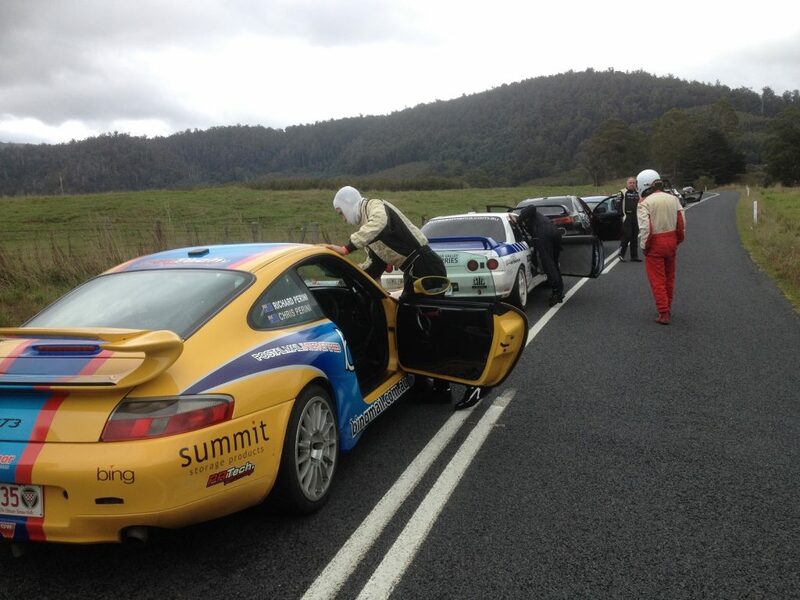 Targa Tasmania 2014 got under way today with 2 prologue stages in Kayena and Georgetown, North of Launceston. With the sun shining but cool temperatures the teams were glad to get the campaign underway. Car 933 of Andrew Bollom and Lee Challoner-Miles finished both stages on top with car 922 of Adam Spence and Erin Kelly 6.2 seconds behind in second place. The prologue times are used to set the start time for Day one of the rally and not used for the total rally time. 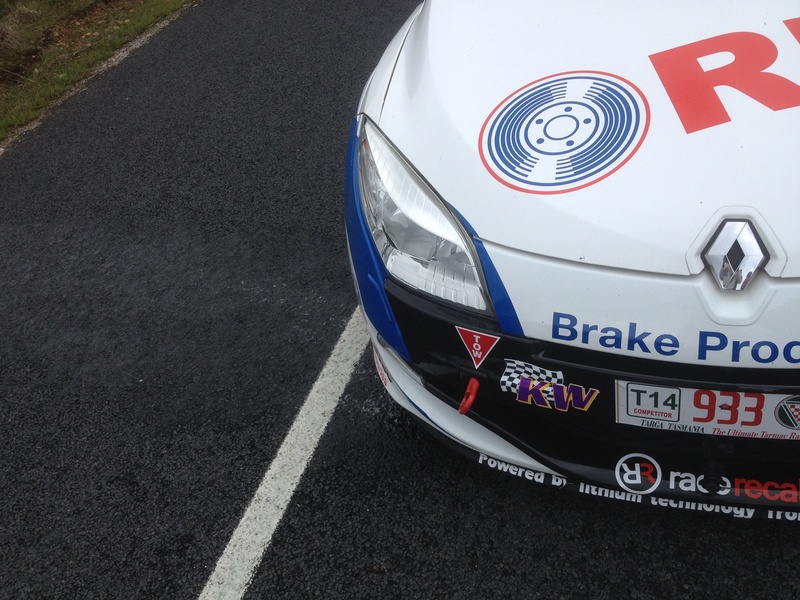 The course heads North tomorrow towards Devonport with 8 action packed stages. 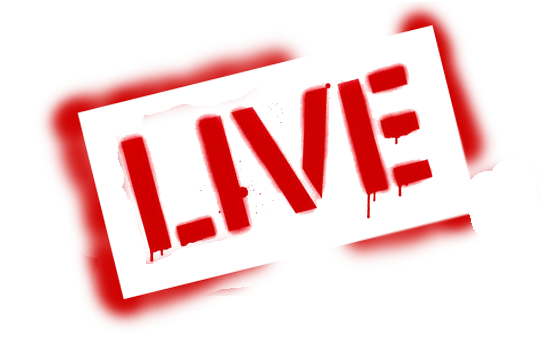 Visit the rallysafe website by clicking here. At the top of the page you can select both the Redback Racing cars and during a stage it will show the car travelling through the stage. The redbackracing car numbers are 922 & 933. IOS / Iphone / Ipad visit the app store and search for “Rallysafe”. 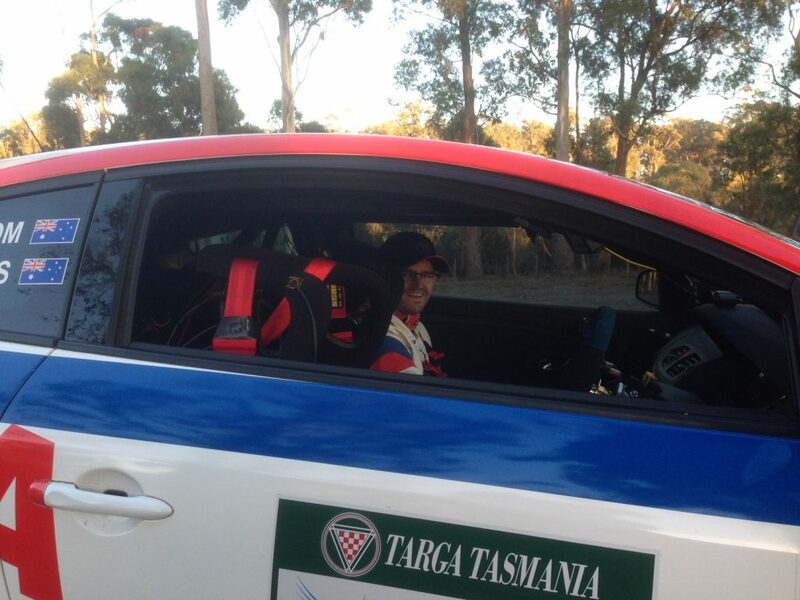 Once you have the application open select the event, for example Targa Tasmania 2014. Android users can also search for rallysafe in the Google play store. 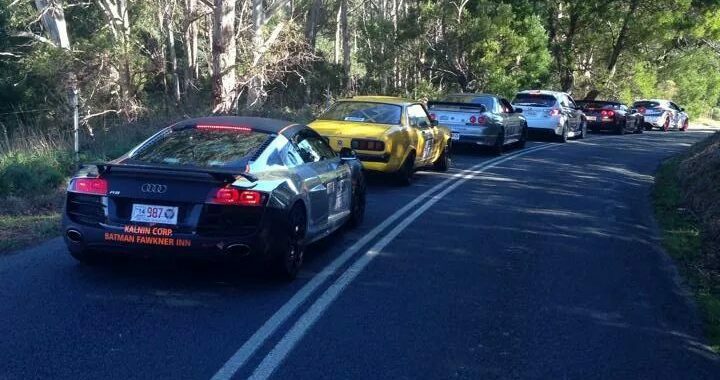 Once you have the application open select the event, for example Targa Tasmania 2014. 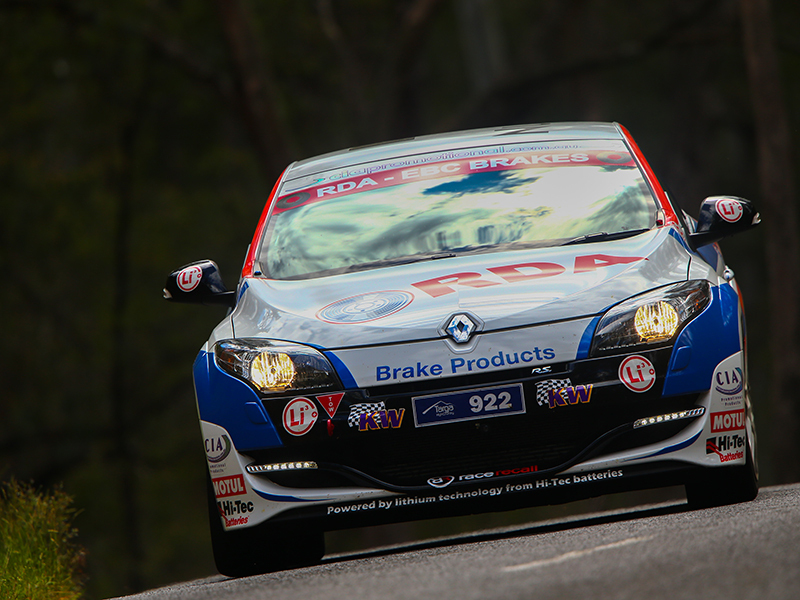 Redbackracing again made it a one two finish for the third event in a row in the 2013/2014 Targa Championship Series at Targa Wrest Point. 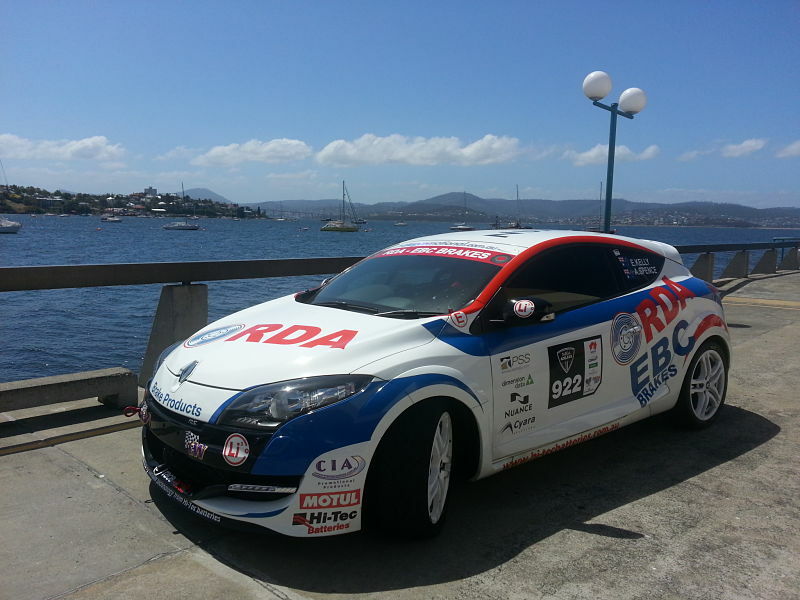 The event which takes place around south Hobart and the Huon valley is a favorite for a number of the Redback racing team. 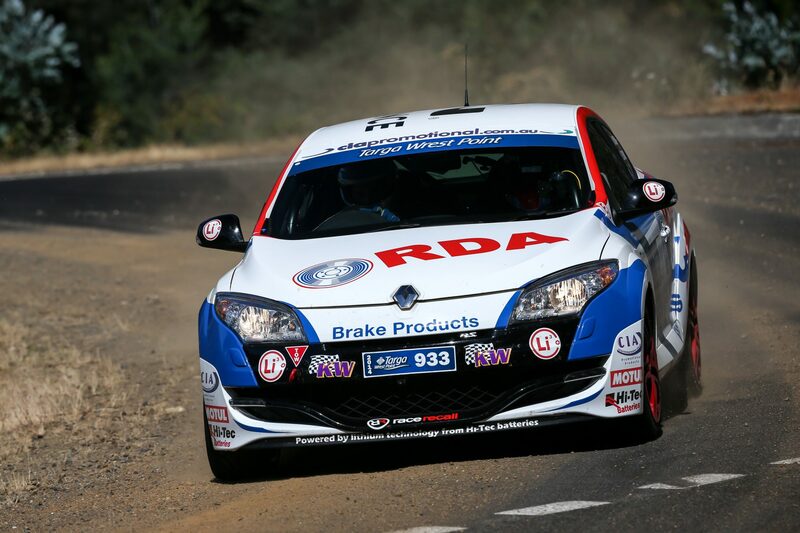 Adam Spence & Erin Kelly again led the Showroom category from the first stage, to the finish and with new team mate Andrew Bollom, whom replaced Bunj Noor in the driving seat, of the second Renault Megane. 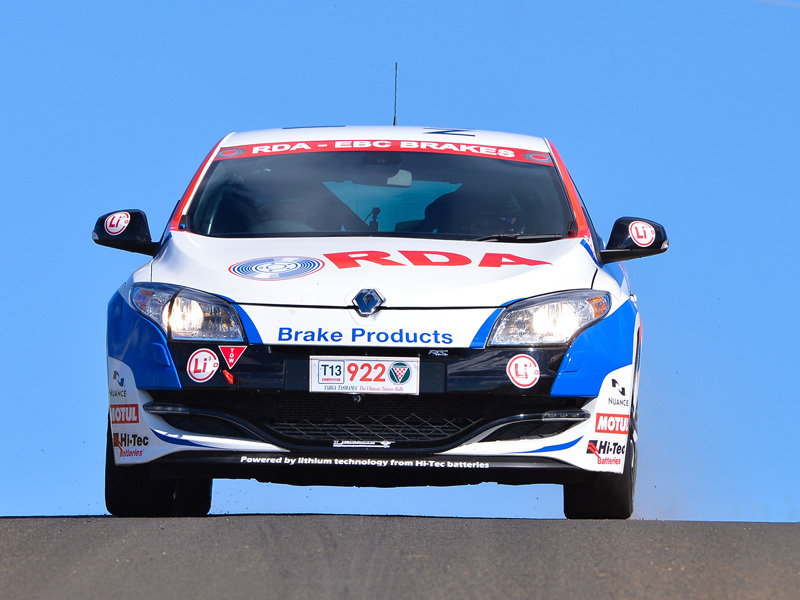 Andrew Bollom has returned to competing in Targa after taking 2 years out, in which time he was part of the Redback racing support crew, got grips with the Renault really quickly. 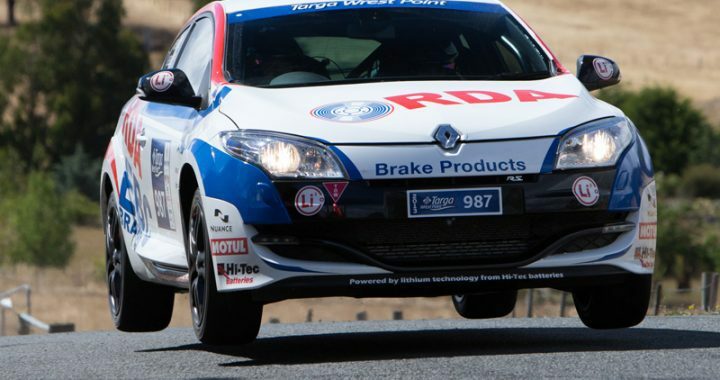 Having spent the majority of his racing career in rear wheel drive rotary cars, the front wheel drive Renault would be a different challenge of which he is now looking forward to getting more experience and time behind the wheel. 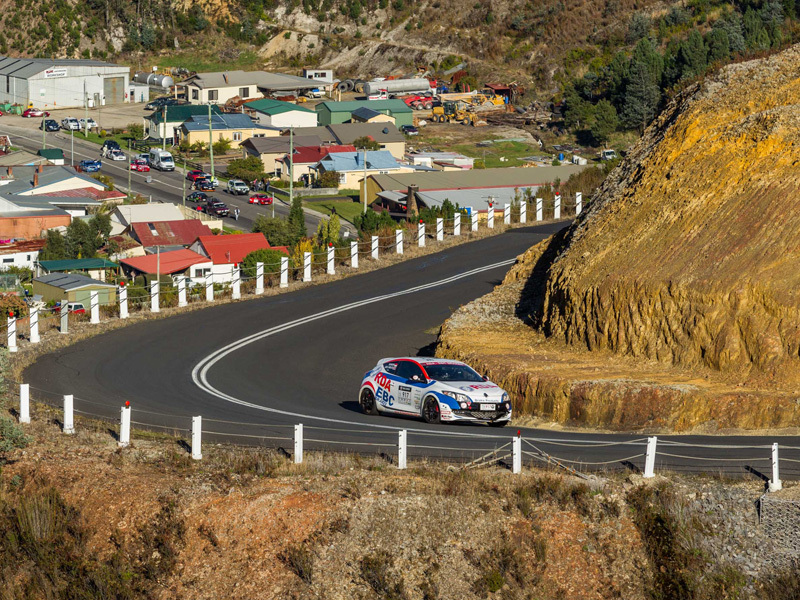 The next championship event being Targa Tasmania in early the team are looking forward to carrying on their fantastic form into the biggest event of the Targa calendar. 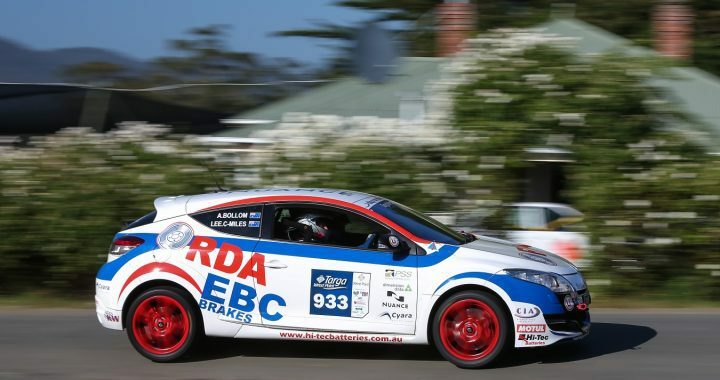 The team at Redback Racing would once again like to take this opportunity to thank our major sponsors RDA/EBC Brakes, Hi-Tec Batteries, Motul and Corporate Impressions Australia for supporting us and thus enabling us to compete. We would also like to thank Nuance Communications, Cyara, Dimension Data and PSS for their continued support. Redback Racing get another 1-2! 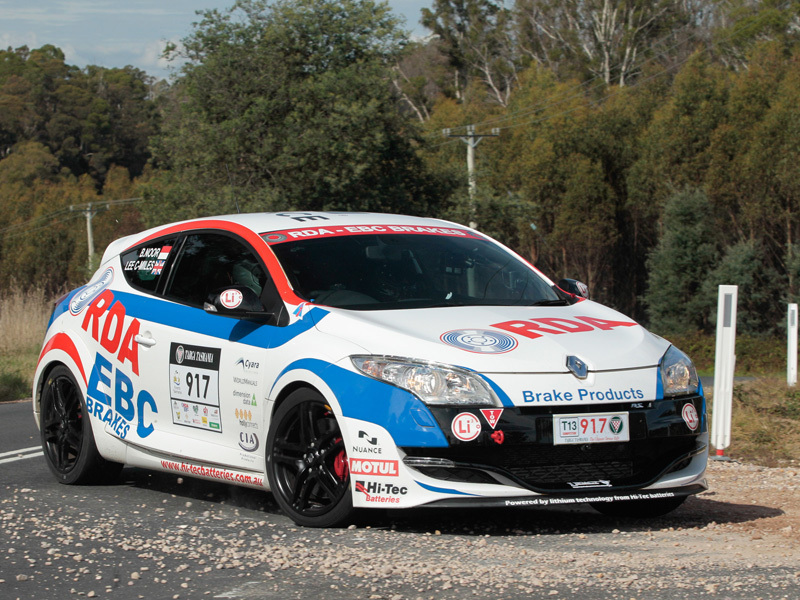 The Team of Adam Spence and Erin Kelly have won their second showroom 2WD win in a row and their second victory at Targa High Country. 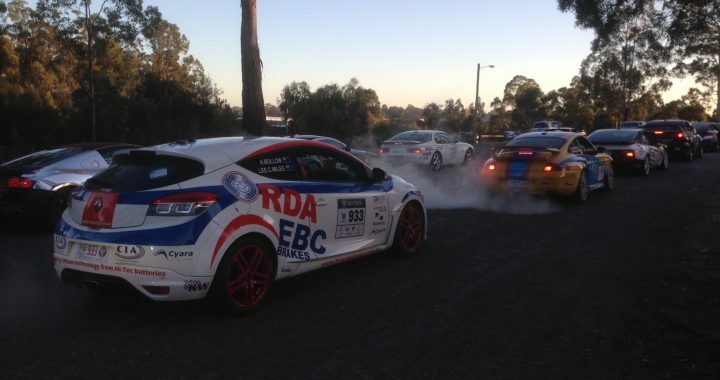 The even more exciting news is the Targa High Country event brought the team of Bunjamin Noor and Lee Challoner Miles onto the second step of the podium for the first time at this event but the second time in a row. 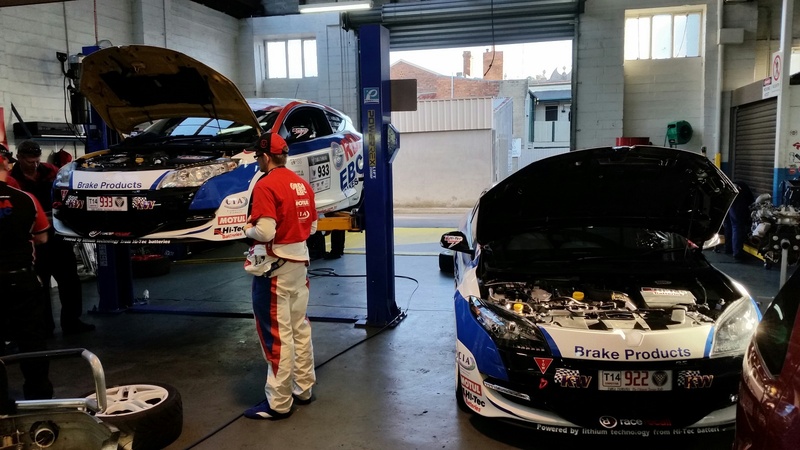 The team are now placed first and second in the Australian Targa Championship and are eagerly awaiting Targa Wrestpoint at the end of January in Hobart. 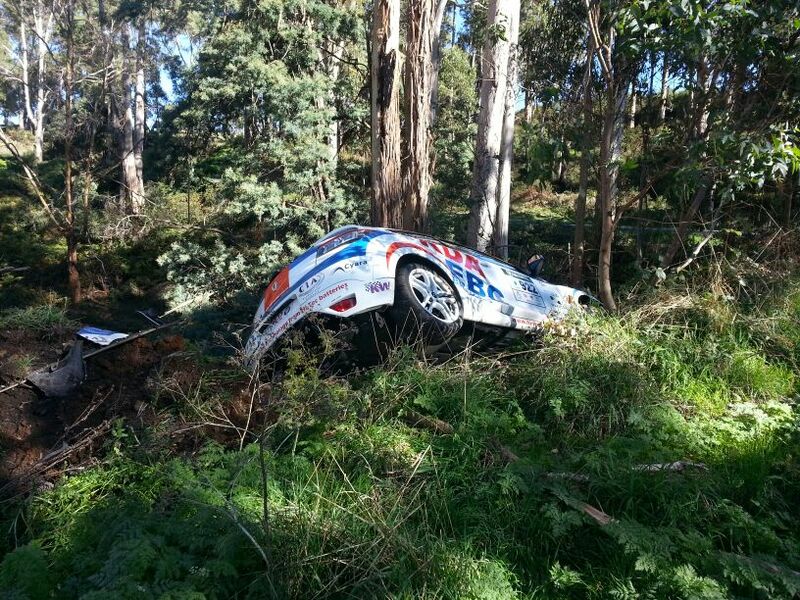 On August 25, the team at Redback Racing lined up for what was to be a brilliant result at the end of four days racing in Targa Adelaide. 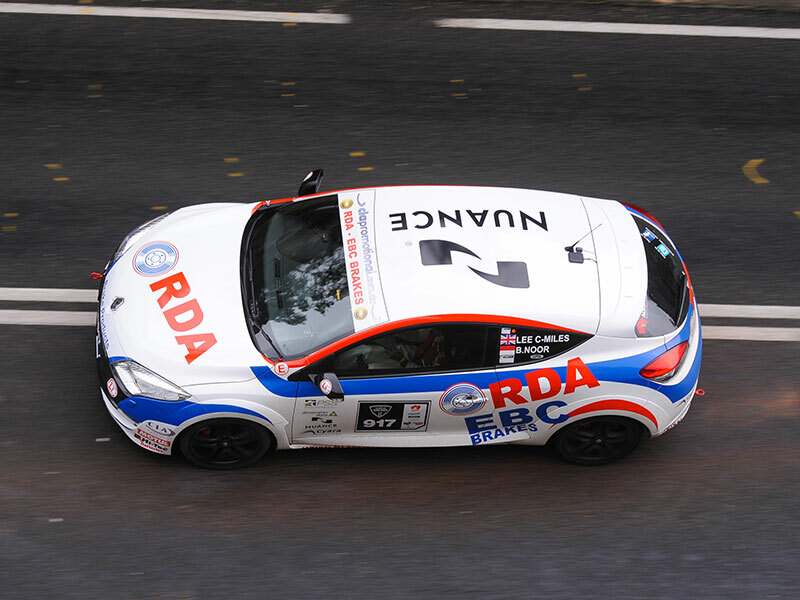 With their results of 1st and 2nd in Showroom 2WD category in their Renault Megane RS 250/265s and an outright finish in the top 12 for Adam Spence and Erin Kelly. 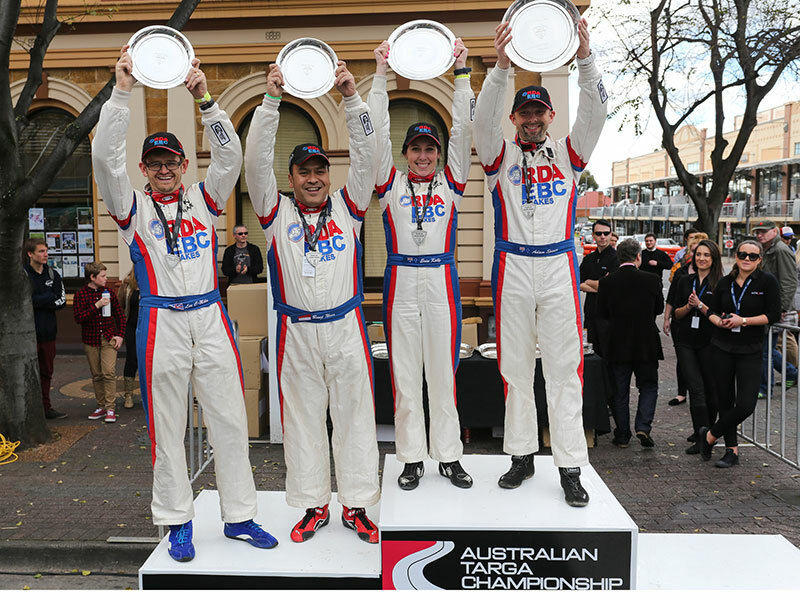 Redback Racing celebrate their 1-2 in Targa Adelaide"I would like to extend my sincere congratulations to Adam Spence, Erin Kelly, Bunjamin Noor and Lee Challoner Miles and the rest of the team at Redback Racing. 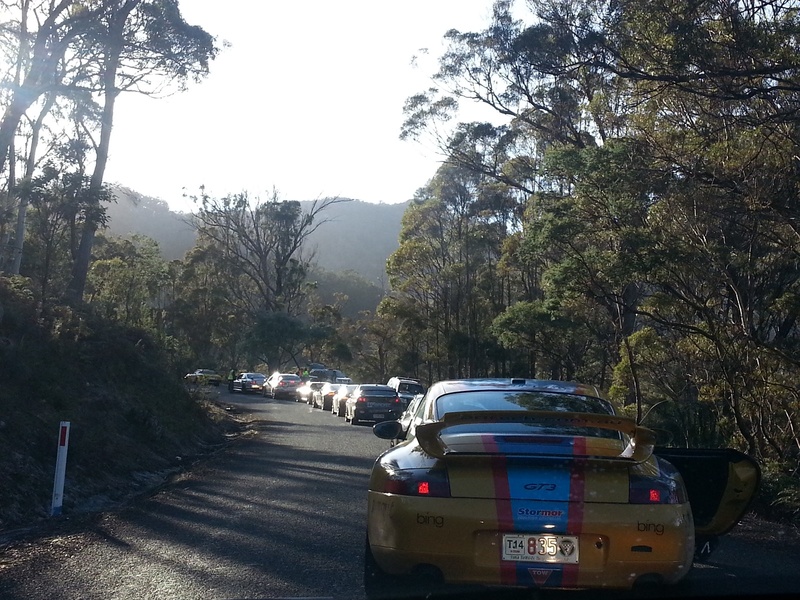 What a fantastic result in the first Targa race of the season! 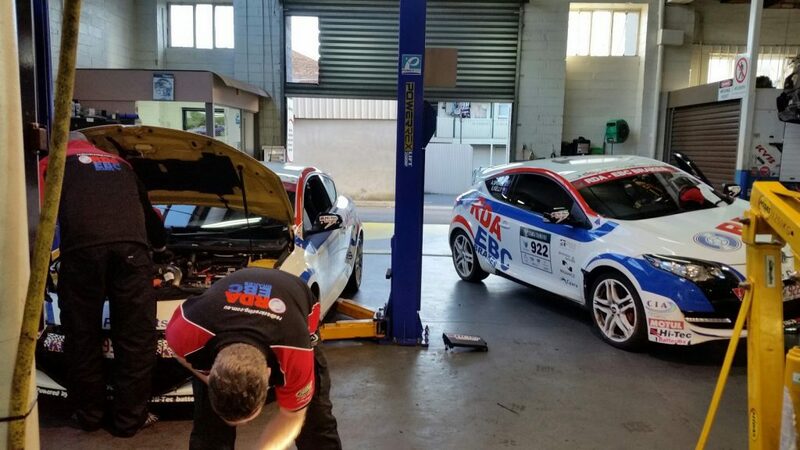 A brilliant team effort and one that everyone involved should be very proud of," said Justin Hocevar, Managing Director Renault Australia. 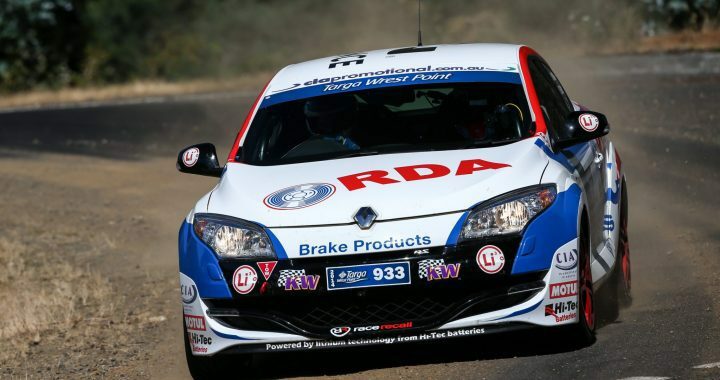 The team now have four consecutive podium finishes and will again look to build on this success at Targa High Country in November and throughout the Championship in the lead up to the final event of the season Targa Tasmania in April 2014. 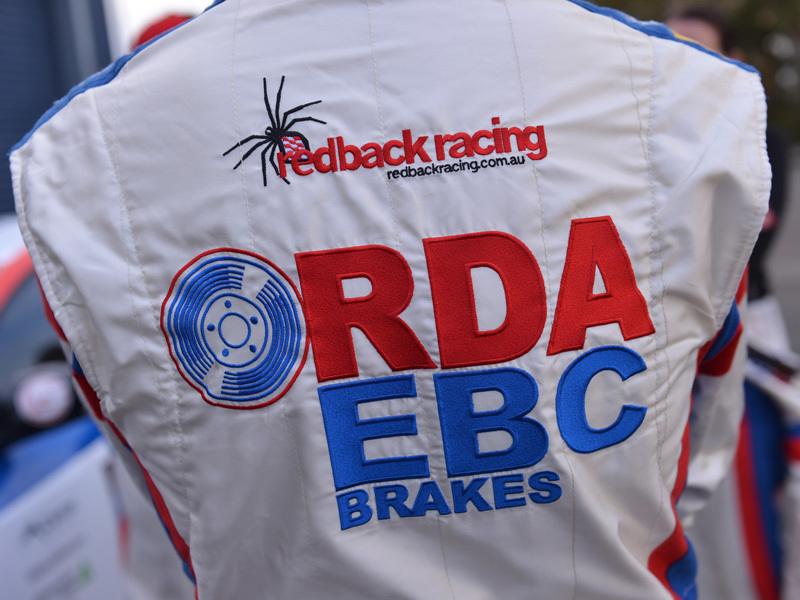 The team at Redback Racing would once again like to take this opportunity to thank all of their support team and our major sponsors RDA/EBC Brakes, Hi-Tec Batteries, Motul and Corporate Impressions Australia for supporting us and thus enabling us to compete. We would also like to thank Nuance Communications, Cyara, Dimension Data and PSS. 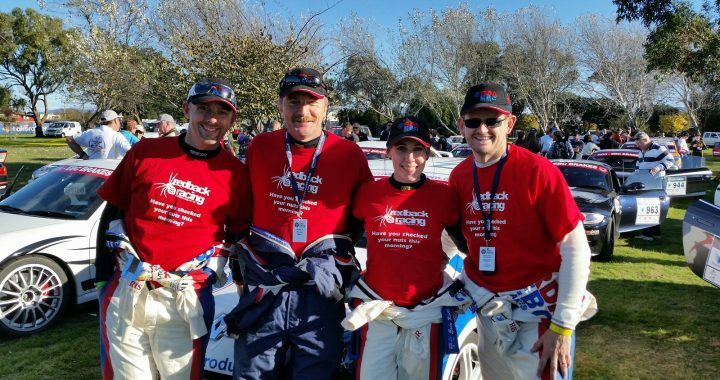 Redback Racing On The Podium… Again! 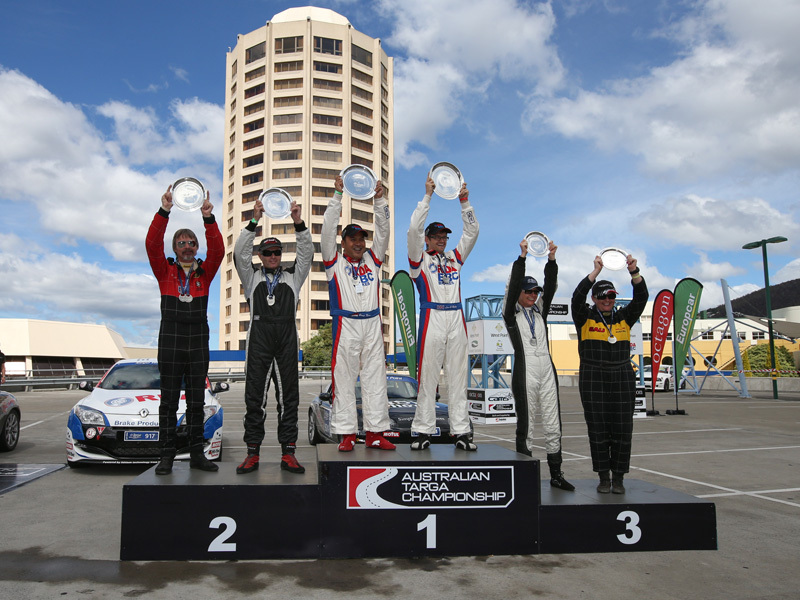 Redbackracing has again made it onto the podium in the Australian Targa Championship. 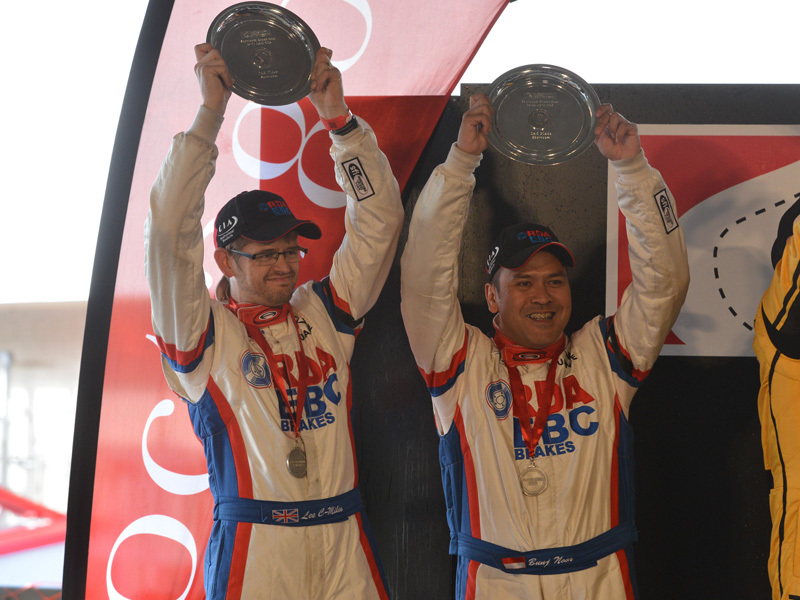 Placing 2nd at in the grueling 5 day Targa Tasmania, Bunjamin Noor and Lee Challoner-Miles secured their 2nd podium podium finish of the season, placing the teams two cars 2nd and 4th in the 2013 / 2014 Targa Championship. With mixed fortunes over the 5 days, commencing with the car of Adam Spence and Erin Kelly winning most of the stages on days 1 to 3, but crashing out at the end of day 3 on the notorious Rinadeena stage leading into Strahan and finishing with a hard fought 2nd place finish for Bunjamin and Lee who experienced engine issue for the final day. 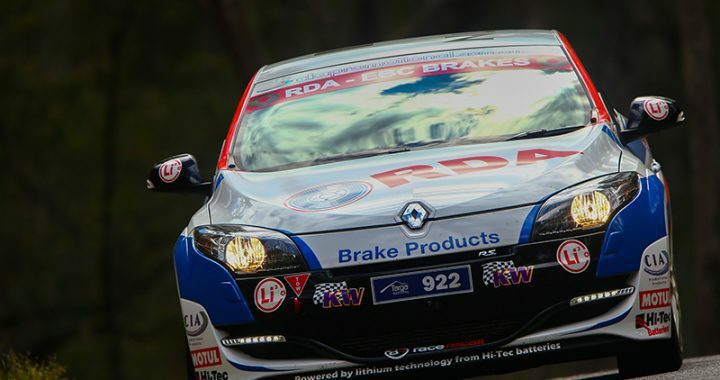 Justin Hocevar, Managing Director Renault Australia, said; "I would like to extend my congratulations to the team at RedBack Racing for a fantastic week of driving at Targa Tasmania. The team have been consistently in front all season and this week was no exception. 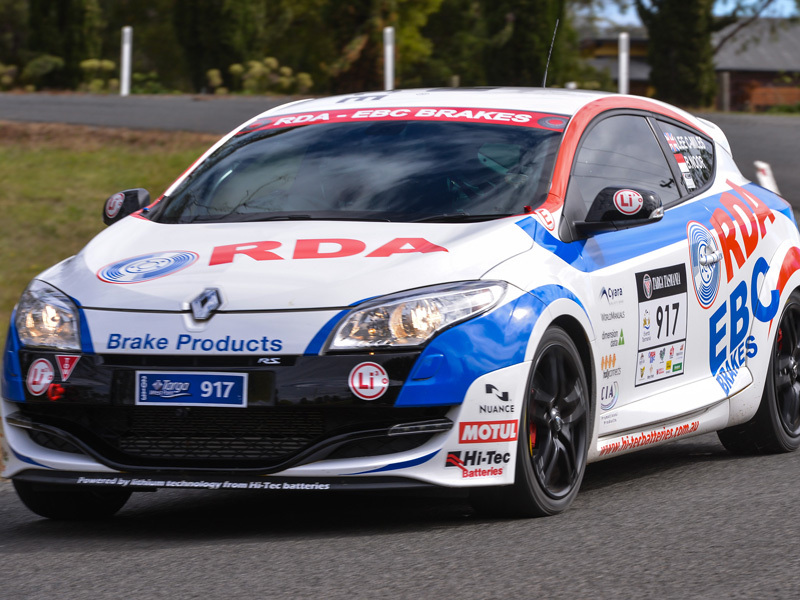 Renault Sport is an iconic name in Motorsport the world over and I am thrilled to see the dominance of all the Renault cars at this year's Targa Tasmania event." The next championship season starts in August, with the first round in Adelaide, the team will be starting their preparations straight after they leave Tasmania and taking the lessons learnt from this season and will be looking to repeat their earlier successful results and aim for one better to at Targa Tasmania 2014. 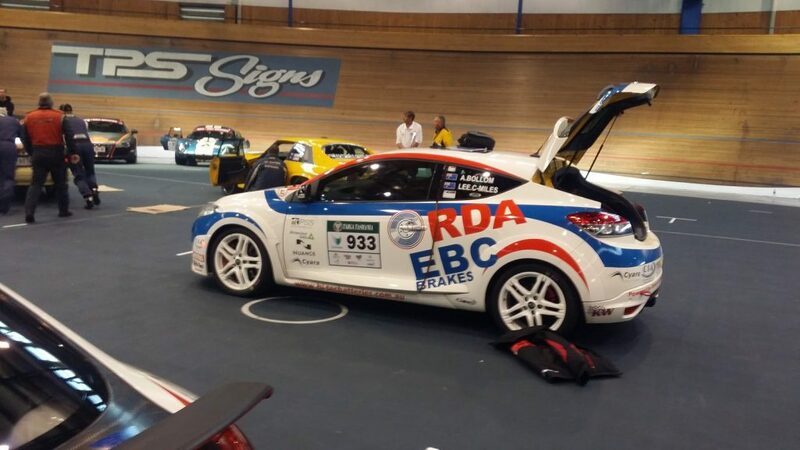 The team at Redback Racing would once again like to take this opportunity to thank our major sponsors RDA/EBC Brakes, Hi-Tec Batteries, Motul and Corporate Impressions Australia for supporting us and thus enabling us to compete. We would also like to thank Nuance Communications, Cyara, World Manuals, Dimension Data and Holly Connects for their continued support. 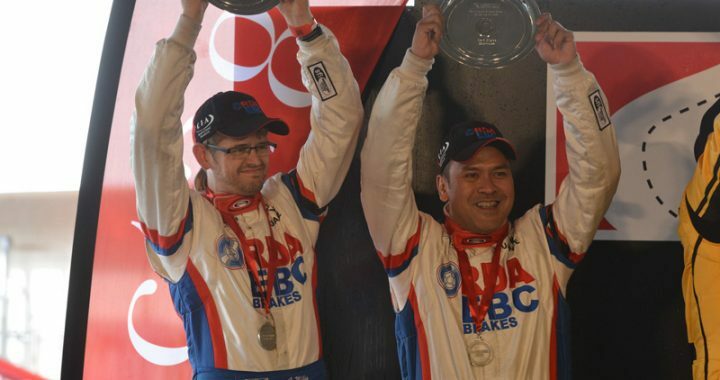 Redbackracing has taken out Targa Wrestpoint 2WD Showroom category with Bunjamin Noor and Lee Challoner Miles taking victory, in the process making history by having a full international crew taking the win. 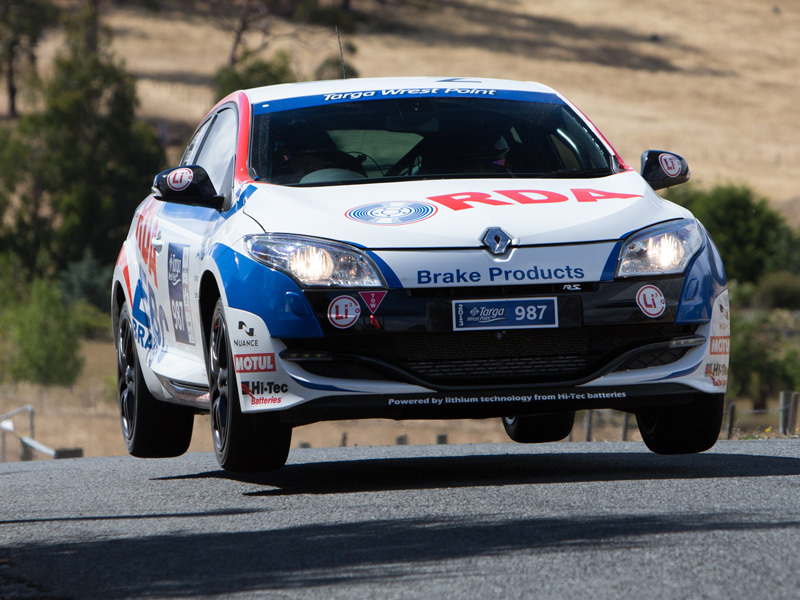 The team from Redbackracing arrived in Hobart full of confidence following on from their first outing in their Renault Megane RS250's back in November, in the 2nd round of the targa championship - Targa High Country finishing in 1st and 4th position. 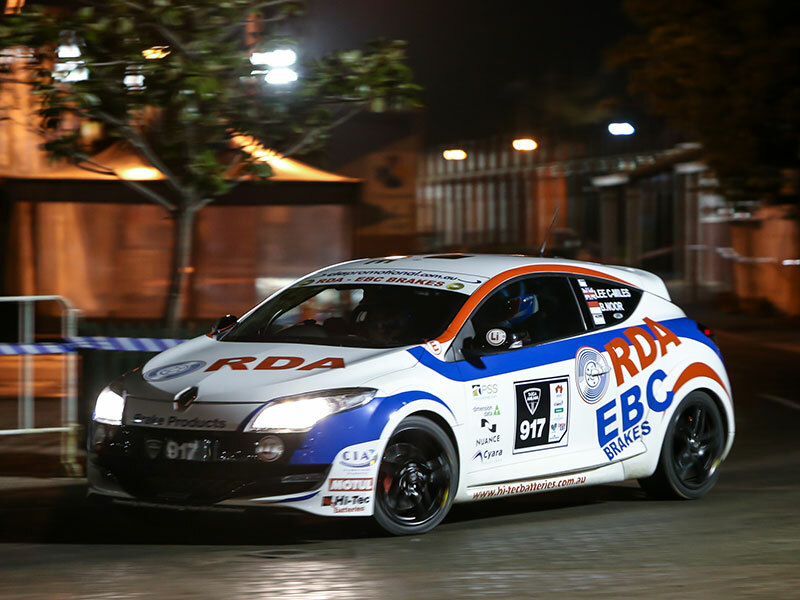 The first stage of the event being the prologue and an easy base time, was an opportunity to get reacquainted with the cars before heading off to the Tahune stage. Adam Spence and Erin Kelly setting the pace right from the start of the first competitive stage with a fantastic time, 40 seconds ahead of their team mates Bunj Noor and Lee Challoner-Miles in second place. Unfortunately for Adam and Erin the reverse leg of Tahune - Airwalk, was to see them have an issue off the start line. 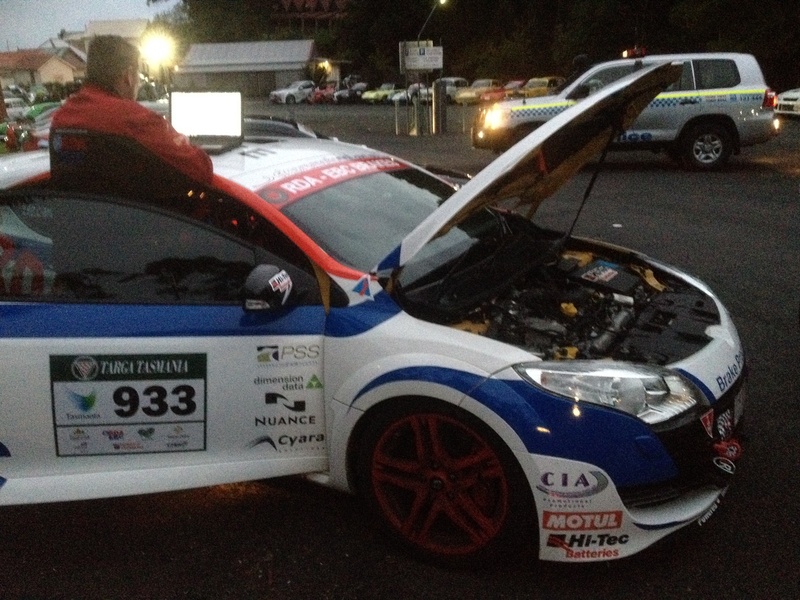 After a few kilometers into the stage the team parked the car to await service. The teams second Renault then took on the challenge to push and take the top spot within the category. On day 2 Adam and Erin won all stages but with were unable to bridge the gap back to the field, Bunj from Indonesia and Lee, English born, continued to set good times for the day increasing their overall lead at the end of the day to 58 seconds making them the first international team to be on the top spot of the podium for any category in Targa Wrest Point. 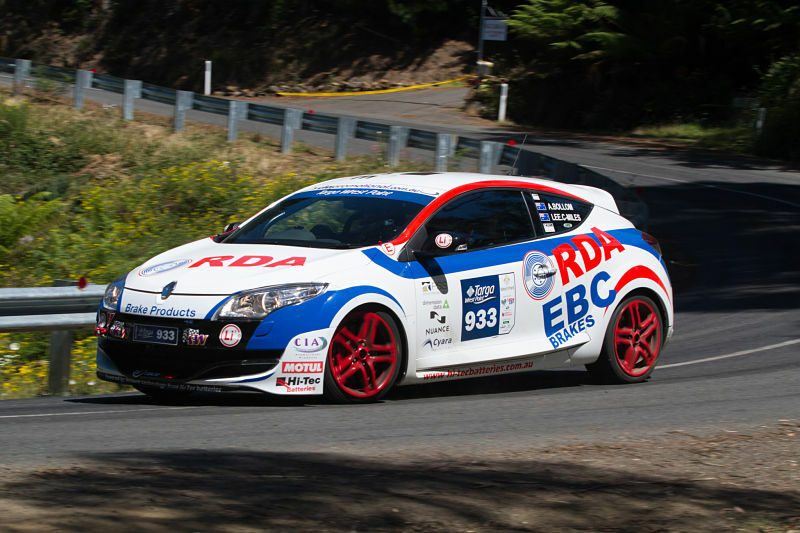 With Adam in impressive form and Bunj fresh on the back of his first win, Targa Tasmania 2013 is going to be a fantastic event and the team are aiming to get both crews on the podium for Australia's ultimate Tarmac rally .